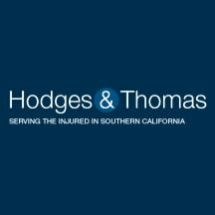 The law firm of Hodges & Thomas has protected the rights of injured persons throughout Southern California, aggressively and successfully, since 1982. Wherever people are hurting through no fault of their own, victimized by the negligence of others on busy highways or on unsafe property, Hodges & Thomas is there for personal injury plaintiff clients — with law offices in Hermosa Beach and Encinitas, California. Our personal injury law firm safeguards the interests of victims of car, truck, motorcycle, bicycle and pedestrian accidents; injuries caused by unsafe property or defective products; and by dog bites and animal attacks. We apply our more than 30 years of experience, proven skills and legal resources in pursuit of securing maximum compensation for clients who have endured serious injuries or families who have lost their loved ones in fatal accidents. Robert R. Hodges and Richard F.G. Thomas are California-educated, detail-minded, results-driven lawyers who guide you smoothly through the legal process during a difficult time in your life. These dedicated legal professionals conduct in-depth investigation of your accident, identify the party responsible for it, negotiate skillfully with insurers and always prepare a case as if it is going to trial. If litigation in court is necessary, they will provide a strong voice for your goals. You can trust the Hodges & Thomas personal injury plaintiff law firm to work hard for the maximum financial compensation you need to cover lost wages, medical bills, vehicle replacement, and any pain and suffering or emotional trauma you have suffered during your recovery. This quality representation extends to victims of life-changing, catastrophic injury to the brain and spinal cord as well as elderly Californians who have been abused, neglected and taken advantage of in any number of ways. Additionally, if your insurance company is not responding to your pleas for help, our personal injury plaintiff attorneys will safeguard your interests.